We offer you here a piece - approx. 500 gr. of a Grana Trentino - Trentingrana. The cheese similar to Parmesan Grana Trentino belongs to the noble family of the Grana and belongs therefore to the best at all, above all on account of the used milk. It comes particularly selected cows which are nourished with fragrant feed the alp pastures, never, however, with silage fodder! The regulations for the production approve the use of only three ingredients: Milk, rennet and salt. The addition of every preservative is strictly forbidden. 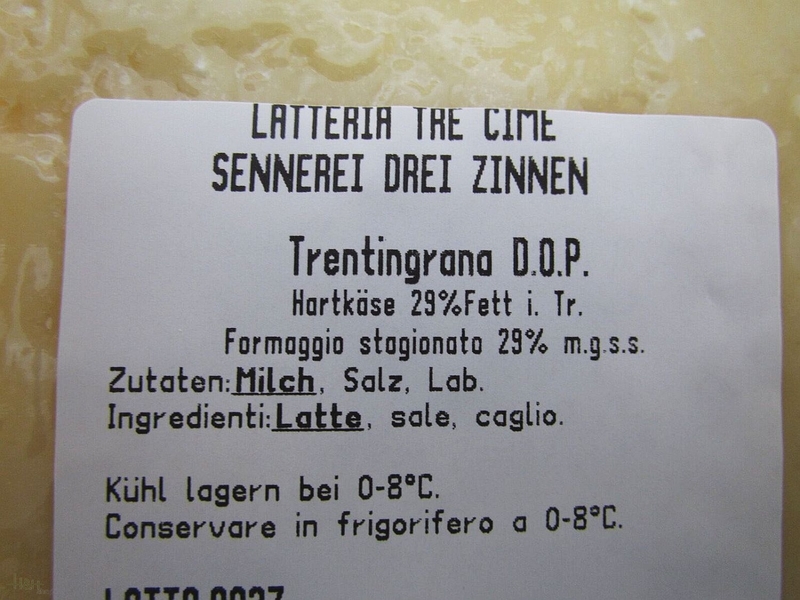 Before they are ready for the sales, the forms of the Grana Trentino must have matured at least fifteen months, and the brand name Trentingrana is appropriated only after a careful examination on the part of the engineers of the protective co-operative. 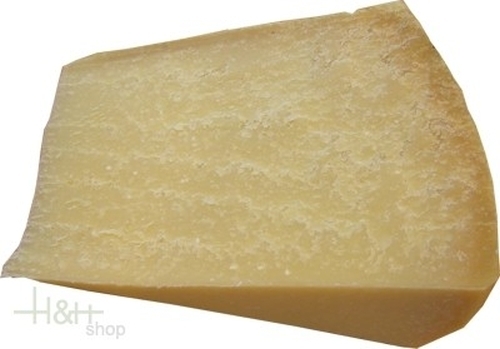 The Grana Trentino is a half-fat cheese with cooked dough, fine-grained, with radial fractures and practically no punching. Buy now this product together with Fioretto Pecorino Sepi whole loaf approx. 3 kg. ready for shipment: in stock Fioretto Pecorino Sepi whole loaf approx. 3 kg. Очень вкусный сыр. Покупала этот и Трентиграна 1 кг. Оказался один и тот же сыр. Продавец отрезал щедро с перевесом. Рекомендую. Just exellent. Highly reccomend. Очень рекомендую. Доставка до г. Санкт-Петербург занимает всего 1 неделю. Very tasty cheese; very high-quality service of shop. I recommend!!! This grana cheese has the funky taste for me, it\'s much better than Parmigiano-Reggiano to my surprise! When we tasted this cheese - it became clear that we never saw the real cheese.The very tasty. Such cheese should be had in the house always.